The D.E.A.R Awards honor individuals and entities for their relentless efforts, through their specific fields, in furthering the development, sustainable growth and unity of Africans in the diaspora. This year’s event happened on September 2, at Sheraton Hotel, Irving, Texas – United States of America. “We know there are many people who work extra hard. We wanted to recognize all their efforts. These are ordinary people making extraordinary changes in many people’s lives both here and at home,” says D.E.A.R Awards organizers in a statement. 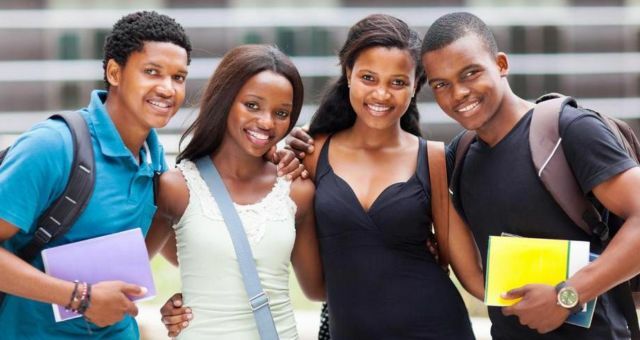 George has been at the fore-front of helping empower Africans in diaspora, through his motivational talks across as many United States of America states as well as across Europe. 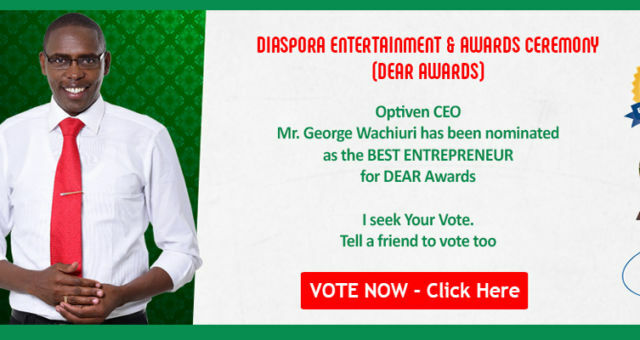 He captains one of the most successful real estate firms in Africa, Optiven Group – a company that was also recently crowned the number one land selling real estate firm in East Africa 2017/2018 and the 4th best real estate firm in the region, by SuperBrands East Africa. George is trending along a path of greats. Last year, Jane Mukami scooped the Entrepreneur of the Year 2016. The Optiven Group is already taking its rightful position as a prominent African real estate pace setter. Optiven has a number of flourishing subsidiaries that include Optiven Construction, Optiven Water and the Eagle Peak Spur franchise. The group projects at providing over 300, 000 homes and having over 30, 000 direct employees by the year 2030. He has indefatigably been at the fore-front of empowering Kenyans and Africans in Diaspora to invest in the real estate sector. In deed entreprenuers need to focus on solving problems in the society. Congratulations are in order.Bro George. You have become the embodiment of the Kenyan Spirit of resilience and thriving in a harsh economy. Instead of complaining you role up your sleeves and make a difference. God bless you and increase you. Give you many more years to be a trail blazer for young and upcoming entrepreneurs. Tunawesmake. 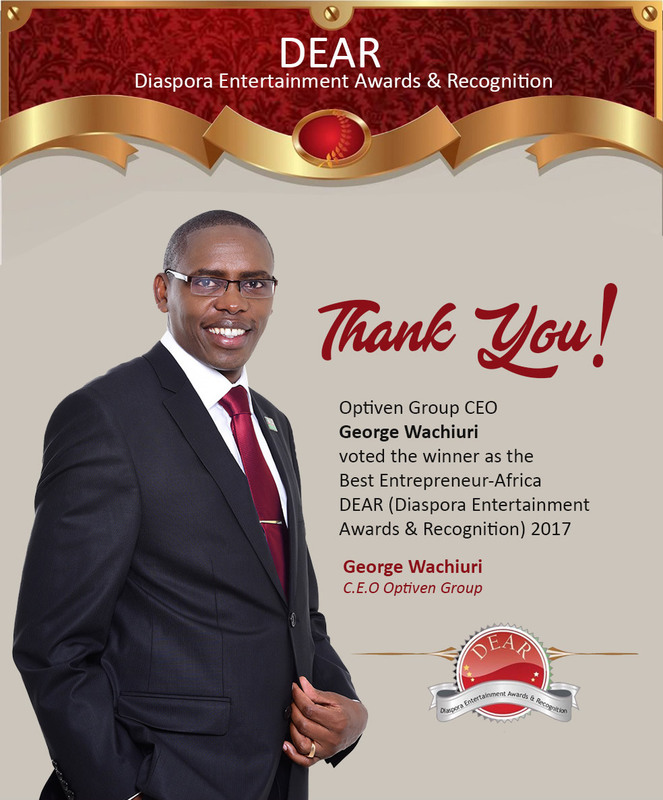 Congratulations to the OPTIVEN Family for the DEAR award,am actually touched with the support and care given to the rural communities especially in Kajiado,this is inspiring and motivational. Kindly extend a hand in water distribution to the villages especially rural schools and market centres,ie water kiosks and tap water in Western Kenya. May our good God bless the entire OPTIVEN Familly especially the CEO George Wachuri.